If you’ve been reading this blog then you know that I’ve been doing a lot of reading of my own lately, mainly associated with some professional development in the area of reconnecting to basic software development fundamentals that I’m already aware of and some new things as I try to find some new ideas in the various forms of the agile development movement that I can use or try. The latest book is radically different. It’s one that was casually mentioned to me by a colleague, Jeff Juday, who was recently awarded Microsoft MVP status. 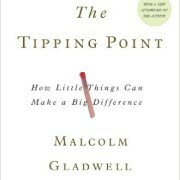 He mentioned how he thought the program related to the book he had just read, The Tipping Point. This piqued my interest initially because I’m always curious about how the market works and Jeff promised the book would have some insight. (He was right.) Having written (or written part of) 16 books, I know how random sales can be from one title to another. In fact, when my friends and colleagues approach me about writing a book and ask me if their idea is a good idea, I usually respond with I have no idea. The market seems to work in mysterious ways. 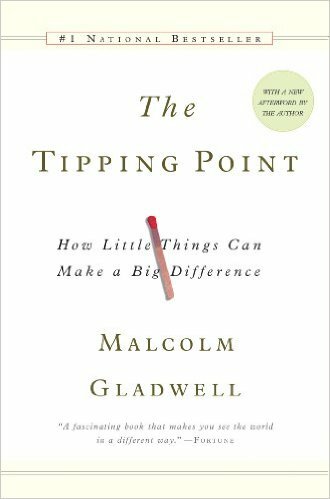 The Tipping Point is a book about epidemics. Not so much the negative things as we associate with the word epidemics but rather about things that have a radical growth cycle. At some point in the book, I wanted to share a passage with everyone I knew. Some of my mentors, the pastoral staff at the church I attend, my mother, several of my friends, and some of the folks I know at the MVP program at Microsoft. The truth is that when I finish this blog post many of them will be receiving a link via email to check it out – excluding those I know read my blog regularly and so they’ll see it anyway. Quietly you’ll get some of the marketing folks in the information worker group to admit that there’s a lot of confusion about SharePoint and few places to find good answers. I’ve had clients pay for us to develop documents that they can use to internally explain the solution – because it’s simply too hard to do without clear documents on what it does and doesn’t do. The Tipping Point didn’t explain why SharePoint has become so popular but it did give me the clues to look for to identify what happened. I don’t have the answers but I do at least know some of the questions to ask. In that way, I think it will be invaluable in the way it allows me to see things more clearly. The analogy that I’ve come up with to explain it is that it’s like someone with imperfect vision – like myself – putting on glasses for the first time. It doesn’t make me see or allow me to see for the first time but it does bring more clarity to what I’ve been seeing all along. The unfortunate thing is that it has also exposed me to how much I still don’t see. If you’re the least bit curious about how trends get started and would like to get a little bit better picture of them I highly recommend reading The Tipping Point.